Many teams find that this approach leads to significantly reduced integration problems and allows a team to develop cohesive software more rapidly. This article is a quick overview of Continuous Integration summarizing the technique and its current usage. The main aim of CI is to prevent integration problems, referred to as "integration hell"
Jenkins is a popular open source tool to perform continuous integration and build automation. The basic functionality of Jenkins is to execute a predefined list of steps, e.g. to compile Java source code and build a JAR from the resulting classes. The trigger for this execution can be time or event based. For example, every 20 minutes or after a new commit in a Git repository. Environment Set up for Jenkins ? 1. In this tutorial we use standalone distribution. 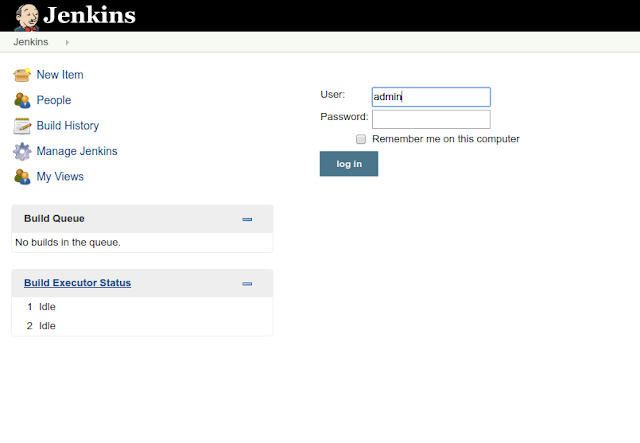 TO download the Jenkis click on the given Jenkins link. After the command is run, various tasks will run, one of which is the extraction of the war file which is done by an embedded webserver called winstone. an authentication window is opened and it will ask you to enter the user and password.